KCI doubled down on math professional development this summer. 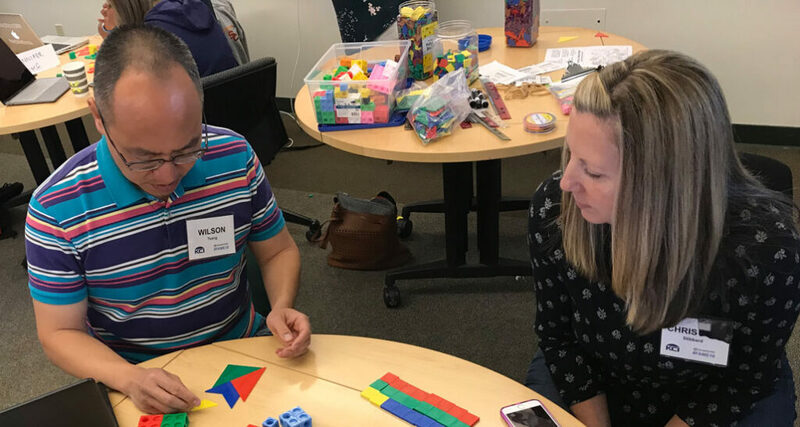 Not only was the FAME (Faculty Academy for Mathematics Excellence) program for middle and high school teachers offered for the ninth year, but KCI also launched EMPowered, a new math PD program specifically for 4th and 5th grade teachers. FAME is a blended program that consists of six face-to-face days, supported by an additional 30 hours of online work. Participants deepen their learning by returning for follow-up days throughout the school year, enrolling in additional KCI classes, and completing 50 sharing and learning points before the end of the program. They also create an e-portfolio demonstrating their experience and how their professional practice has changed. This year’s active cohort was led by Ed Campos and Michelle Giles. 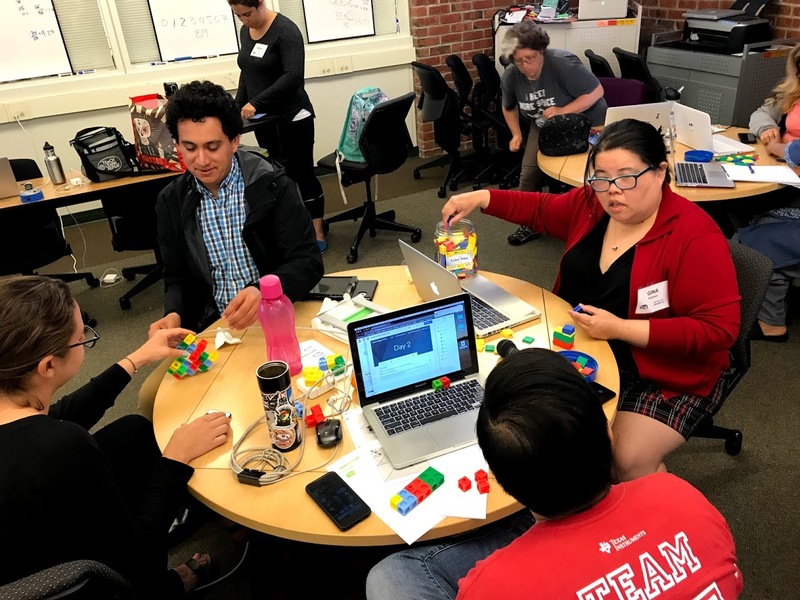 Ed has been program director for Blended FAME since its first year, and Michelle is a FAME graduate and Silicon Valley Math Initiative coach, as well as a member of the current MERIT cohort. The 2018 cohort rated the program highly: 93% affirmed that FAME completely addressed the intended professional learning goals; 100% looked forward to applying their new skills in their classrooms; and 100% stated that the skills learned would improve their overall teaching practice. Taking the best practices from FAME, KCI developed and launched EMPowered (Elementary Math Powered by KCI), which focuses on the eight mathematical practices and introduces how to use computer and web-based technologies to support teaching and learning. EMPowered targets 4th and 5th grade teachers, as they typically hold multiple-subject credentials, not math credentials. Not surprisingly, many elementary teachers are not comfortable teaching math and lack the confidence to move beyond the textbook to make math more interesting and engaging for students. Based on the theories of Jo Boaler, Professor in the Stanford Graduate School of Education and author of Mathematical Mindsets, the program also strives to debunk the myth that only certain people are good at math. EMPowered helps teachers build confidence in their ability to understand and teach math. Teachers work on developing their own mathematical persistence, so they can pass that skill on to their students.